We stock a wide range of genuine personalised Maglites, all of which can be custom printed with your design. 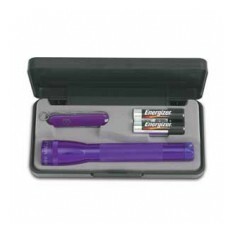 Customised Maglites provide an extremely high quality promotional gift and really do present your company image in a good light (no pun intended!). Branding any of these products, ensures your design will be seen over many years of use and is going to be appreciated by any user. What better way to make sure your branding is kept in front of your customers even in the darker nights than a custom printed, retail quality torch? 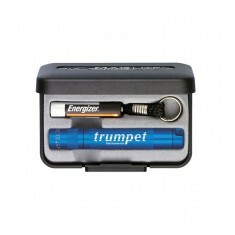 All of our promotional maglites come presented in high quality gift boxes. for that extra added touch of quality. 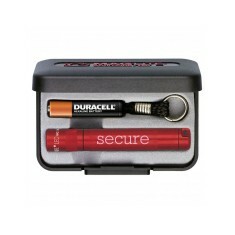 Whether you’re kitting out your on the road technicians or sending out a premium gift to your customers, branded maglites make an excellent choice to ensure your branding is noticed. Adding some extra light has never been easier and with this retail quality, what better way is there to get your name out and in front of your clients? 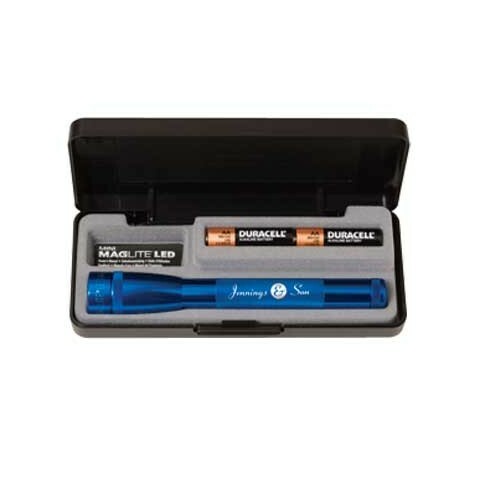 One of our most loved from this range is our custom printed Mini Maglite AA Torch. 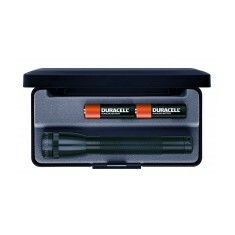 Presented in its own box and supplied with 2 AA batteries, this is an excellent choice when it comes to a corporate gift as your design is branded to the barrel and it looks incredibly smart. Plus, it comes with a lifetime guarantee so your customers can always rely on your handy torch. If you want to find out how much it will cost to get these customised torches with your design, use our handy quote basket tool or give our sales team a call! 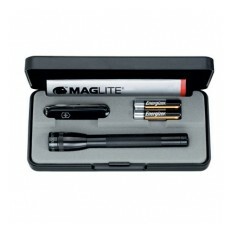 Official Maglite product. Made from aluminium. Individually boxed with 2 AA batteries. 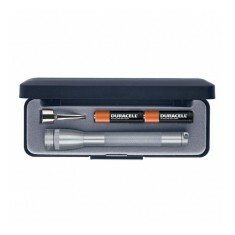 Supplied individually boxed in a black presentation case with AAA battery and ..
Official Maglite product. Made from aluminium. LED beam. Individually boxed.